Today I am 12 weeks and 1 day pregnant, which means I can almost wave goodbye to the first trimester. Yeah! Farewell first trimester, you terrifying, bloody nightmare! 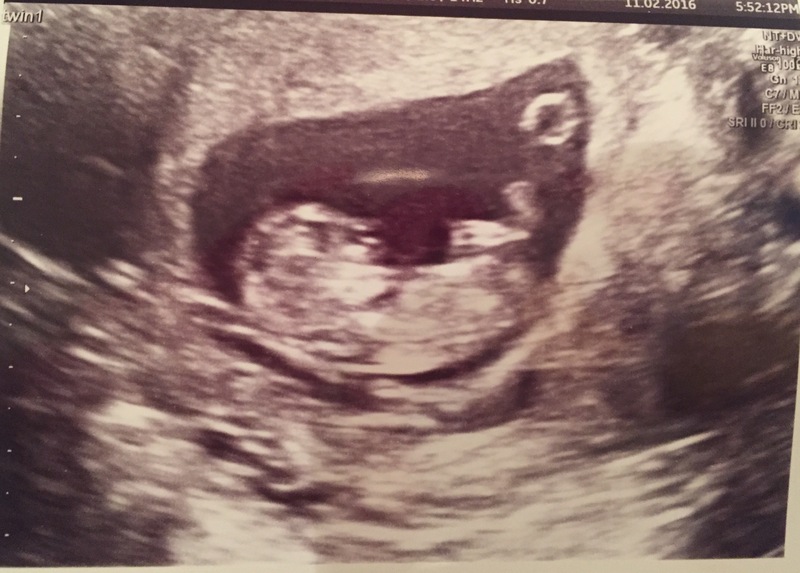 We had our ‘Nuchal Translucency’ scan yesterday and I’m happy to report that everything is fine. Our twins have a 1 in 10,000 chance of having Downs or a similar chromosomal condition (muchas gracias, 21 year old donor) and both little dudes have the correct number of brains, arms, legs, noses, livers and hearts. So, can I relax a bit now? Well yes, a bit. Statistically, our chances of miscarriage have significantly decreased now we’ve made it to week 12. However the bleeding is still there – a little bit every now and again – just enough to say ‘gotcha!’ every time I start to relax and feel blase. I’m still on knicker watch 24/7 but I think that’s just the way it’s going to be for the next 30 weeks or so. Well, it couldn’t just be easy could it? Nah. That’s life. We have a meeting with our obstetrician, Dr K, tonight. I’m going to ask him if I can lighten up on the ‘pelvic rest’ a bit now. I’d love to go back to yoga and hopefully be able to walk more than 20 minutes a day. I’m pretty sure husband would enjoy a bit of pelvic-action but I have a feeling that might be the last thing to go. Sorry husband. ….the name of one of my favourite 90s albums and also what occurred to me when I saw these little dudes bobbing about on Thursday. Twin 1 (top) was doing karate kicks, waving and spinning around like he’s on the International Space Station. 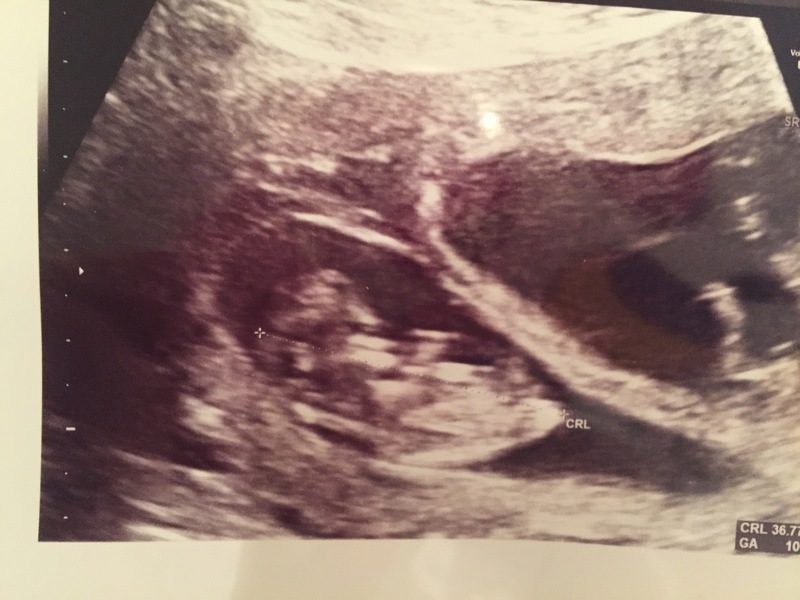 Twin 2 appears to have a bit less room and was sulking – didn’t move much until the sonographer poked him and he did the fetus equivalent of a ‘FFS!! !’ and started kicking and waving. We went to a snazzy new place on Harley Street to get a Harmony Test done (blood test looking for chromosomal abnormalities) and they did a quick scan to make sure everything was OK beforehand. It was lovely to see. Both twins are measuring at exactly the right size and we heard their hearts pounding. We even saw their tiny little hands and feet – amazing! Nature is incredible. Two miniature human beings. I’ve been bleeding on and off this week but nothing too bad. I like being back at work – I don’t like being an invalid. My boss has been great and agreed to cover a couple of European trips I had planned last week. She also encouraged me to work from home as much as I need to. Her support has really helped reduce my stress levels and I am very grateful. I like to think that I would do the same for anyone in my team who found themselves in the same boat. Girl power.